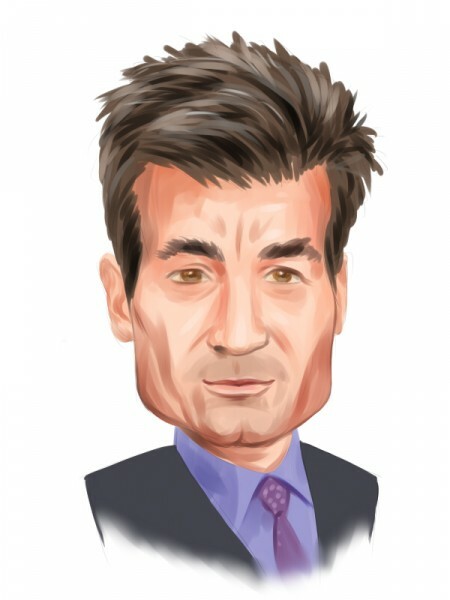 Renowned activist investor Dan Loeb‘s Third Point recently filed its 13F form with the Securities and Exchange Commission, which revealed its equity portfolio for the end of June. While Third Point’s top picks remained basically unchanged over the quarter and included Amgen, Inc. (NASDAQ:AMGN), Dow Chemical Co (NYSE:DOW), and Allergan PLC (NYSE:AGN), the 13F also showed that the fund initiated positions in 16 stocks during the quarter. With this in mind, we decided to take a closer look at Third Point’s largest new holdings, which are represented by Baxter International Inc (NYSE:BAX), T-Mobile US Inc (NYSE:TMUS), and Sealed Air Corp (NYSE:SEE). Loeb founded Third Point in 1995 with $3.3 million from friends and family. Currently, the regulatory assets under the fund’s management have swelled to $22.5 billion. In his recent letter to the shareholders Loeb defended activist investing, which some think of as a hit and run business, whereby investors make a quick buck leaving the company and its employees in tatters. Over the years, Loeb engaged in a number of successful campaigns and managed to change the course at companies like Yahoo! Inc. (NASDAQ:YHOO) and Sothebys (NYSE:BID). At the end of June the value of the fund’s equity portfolio stood at $10.68 billion, slightly down from $10.82 billion at the end of the previous quarter. But why do we track the hedge fund activities? From one point of view we can argue that hedge funds are consistently underperforming when it comes to net returns over the last three years, when compared to the S&P 500. But that doesn’t mean that we should completely neglect the hedge funds’ activities. There are various reasons behind the low hedge fund returns. Our research indicated that hedge funds’ long positions actually beat the market. In our back-tests covering the 1999-2012 period hedge funds’ top small cap stocks edged the S&P 500 index by double digits annually. The 15 most popular small cap stock picks among hedge funds also bested passive index funds by around 65 percentage points over the 35 month period beginning with September 2012 (read more details here). Third Point initiated a position in Baxter International Inc (NYSE:BAX) during the June quarter and in a recently amended filing disclosed ownership of 52.5 million shares of the company amassing 9.6% of the outstanding shares. Moreover, the investor is looking to nominate two candidates to the Board, and intends to help Baxter International Inc (NYSE:BAX) implement a CEO succession plan. The $22.31 billion diversified healthcare company recently spun off Baxalta Inc (NYSE:BXLT) into an independent company, which was a step in the right direction according to Third Point. Richard S. Pzena‘s Pzena Investment Management added about 2,200 shares to its Baxter International Inc (NYSE:BAX) holding during the second trimester, taking the total stake to 5.03 million shares valued at $351.79 million. A total of 6.5 million shares of T-Mobile US Inc (NYSE:TMUS) valued at $252 million were added to Third Point’s portfolio during the second quarter. So far this year, T-Mobile US Inc (NYSE:TMUS)’s stock has surged by a staggering 53%, outperforming the telecom services industry, which has only appreciated by 9.08% during this period. CEO John Legere took a bold step two years ago when he dropped contracts and eliminated phone subsidies and, so far, he has been able to successfully convince consumers how this pricing model is better for them, while other operators like Verizon and Sprint are following suit. T-Mobile US Inc (NYSE:TMUS) recently surpassed Sprint to become the third largest mobile carrier in the U.S. and has had the fastest growth rate for the past 12 months and a downward trending churn rate. John Paulson‘s Paulson & Co is the largest stockholder of T-Mobile US Inc (NYSE:TMUS) within our database and held about 23.84 million shares valued at $924.47 million at the end of June.